Sometimes, you are just in the right place at the right time. 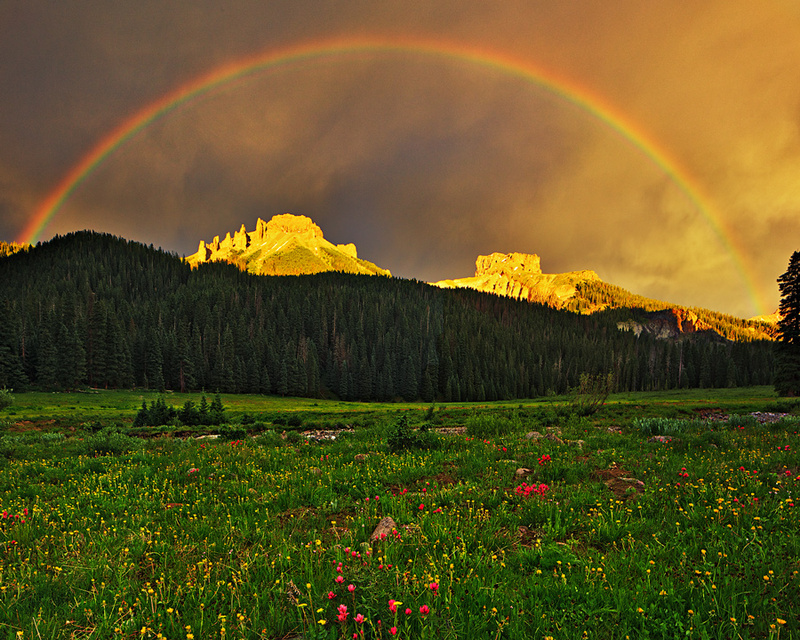 Such was the case returning down the West Fork of the Cimarron one summer afternoon, as a thunderstorm formed a double rainbow over the castle-like montains. Photo © copyright by Stan Rose.